Not to be confused with their 1985 CD with the exact same title, this DVD is the first of four that are being compiled from the shows that took place at Le Triton from May 10th to June 4th 2005. Each of the four will cover a piece of the chronological timeline of Magma’s compositions. 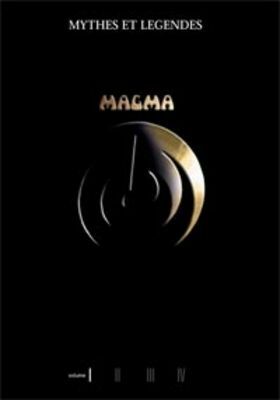 This first volume revisits the earliest phase of the band’s existence, from the first album through the second (four selections from Magma and one from 1001 Centigrades) plus the full length version of “Theusz Hamtaahk” and a couple lost numbers heretofore only available on the bootleggy Inedits LP. These are presented by the core members of the current version of the band (Christian Vander (drums, vocals), Stella Vander (vocals), James Mac Gaw (guitar), Philippe Bussonnet (bass), and Emmanuel Borghi (keyboards) augmented by three sax players), with special guest Klaus Blasquiz, the band’s original lead vocalist, who should be well known to all Exposé readers. This vintage material shines brightly in these compelling and updated arrangements, with Klaus’ voice being as commanding and powerful as ever. “Sowiloi,” “Stoah,” and the half-hour-plus “Theusz Hamtaahk” are the standout performances, but in fact every cut here is superb or better. No fan of the band will want to be without this. Bring on the next three!